After dedicating many, many hours to judging more than 50 mixes, LWE’s panel of judges have picked our favorite: Congratulations are due to Stewart Brown of Glasgow, Scotland, the winner of our fifth annual podcast competition. His far reaching and thoroughly entertaining mix grabbed our attention and earns him two CDs and one vinyl care of !K7. In second place we have Micha Venderbos of Nijmegen, Netherlands, who wins two CDs, and in third is Joe Delon of London, who wins one CD. Our kudos to those who won and many thanks to all who entered. In all honesty, we don’t know much about our winner this year except that his mix is exceptional. 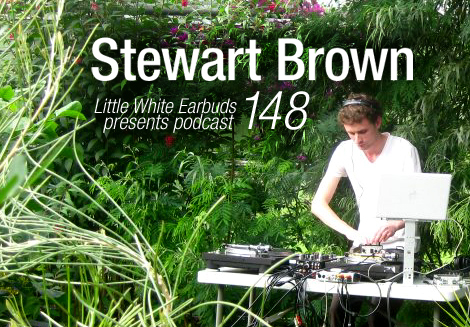 Managing to hit everything from the free jazz atmospherics of Ornette Coleman to classic minimal techno from Robert Hood, Stewart Brown’s entry tests the boundaries of how much one can fit into 44 minutes without sacrificing the quality of his mixing or the entertainment value of the overall mix. LWE tip our hats in your direction, sir. I doff my hat in your general direction. This is sick! Congrats stewart! Any mix which has warp drive in it is a winner in my book. Enjoyed this mix a lot. also nice to see hieroglyphic being | jamal moss featured with two tracks, “kilometer zero” especially.